Welcome to MGS Painting, your complete painting service for residential and commercial buildings, strata maintenance, large and small painting projects in suburban Sydney. Our customers will experience a high level of quality workmanship, a professional and courteous team of painters whom take a smart and fast approach to your painting project. MGS Painting provides you with a fuss free experience everytime. MGS Painting is committed to deliver quality on every project. We believe only in premium quality materials so that we can guarantee all our work to last. From the start to finish we use sensible project management techniques so that you can go about our business in a friendly but focused manner as we strive to finish your project in a timely manner. We have built our reputation on hardwork, excellent workmanship, safe work practices and 30 years of satisfied customers. 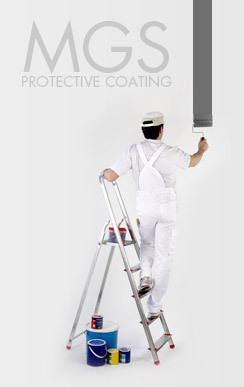 As a fully licensed, insured painter and coating specialist we service all industries big or small and currently hold the dulux certification. With our office located in the Camden region South West of Sydney, our team of painters service both local areas including Campbelltown, Macarthur, Mount Annan, Picton, Southern Highlands but also services Wollongong, Sydney CBD, northern suburbs and eastern suburb areas. If your looking for a painter in Camden or painters Narellan then contact MGS painting your local painters to quote your job. With MGS painting we service Sydney wide and are ready to take on any size job no matter how big or small. We believe everyone deserves that amazing finish to their home or business and we achieve this with experienced and accredited painters. We also believe that everyone deserves good value for money which is why we use high quality painting products to ensure your paint quality lasts for a long time.